In conjunction with this change, the center is offering three free days when people sign up a loved one. For more information, call 385-5200 or email ourplace@fumcdurango.org. Certified public accountant John M. Lopez has joined FredrickZink & Associates, PC, an accounting, tax and business consulting firm in Durango as a senior tax accountant. Lopez earned a bachelors degree in accounting from the University of Texas at El Paso and has years of experience in public accounting, auditing nonprofit organizations and common interest realty associations, along with preparation of business, nonprofit and individual tax returns. FredrickZink & Associates, 954 East Second Ave., has been serving individuals and businesses in the Four Corners for more than 40 years. For more information, call 247-0506. The Community Concert Hall at Fort Lewis College announces it has selected Dixie Reed as a new ticket sales associate. Reed will help staff the ticket desk at the Durango Welcome Center, 802 Main Ave.
Reed graduated from the University of South Carolina with a degree in film studies. She went on to work as a production assistant on numerous film and television projects. The Community Concert Hall ticket office in the Welcome Center is open from 10 a.m. to 6 p.m. weekdays and 10 a.m. to 4 p.m. Saturdays. For more information, call 247-7657 or visit www.durangoconcerts.com. 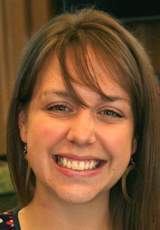 San Juan Basin Health welcomes Jess Wojcik to its Worksite Wellness Program as its health educator. Wojcik earned a bachelors degree in kinesiology from the University of Texas and has experience as a certified health and wellness coach, personal trainer and stress-management instructor. She will be working with local businesses to help them create a culture of wellness and support employees in improving their health. For more information, call 335-2045 or visit www.sjbhd.org/worksite-wellness. Building Employee Engagement Through Effective Feedback will be presented from noon to 1:30 p.m. Thursday at the Durango Area Human Resource Managers luncheon in the downstairs meeting room at The Durango Herald, 1275 Main Ave.
Anna Pool of PeopleSavvy, a local consulting firm, will lead the discussion about the role of employee engagement in an organizations success. The latest research about engagement and effective feedback practices also will be addressed. Cost of the luncheon is is $13 for members and $14 for nonmembers, and includes a choice of a Four Corners club wrap, gyro, portabella wrap or Mandarin almond chicken salad. People should indicate if gluten-free or other accommodations are needed. RSVP with lunch choice to Betsy Fitzpatrick at abetsy.fitzpatrick@stoneagetools.com or call 403-1843 no later than 5 p.m. Tuesday. Cerology Waxing Studio and Brow Bar has moved to 2855 N. Main Ave., Suite B105. The first all-waxing salon in the Four Corners is celebrating three years in business. For more information, call 946-7229.